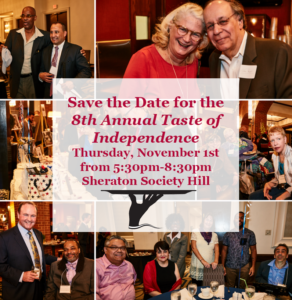 Join us on Thursday, November 1st from 5:30pm-8:30pm at The Sheraton Society Hill for the 8th Annual Taste of Independence Fundraiser benefiting the Transition to Freedom Fund. The Taste of Independence honors 3 people who have made a significant impact on the disability rights movement. It also features a silent auction, raffles, and a full bar/hors d’oeuvres. All proceeds raised support the Transition to Freedom Fund, which assists in transitioning people out of costly and isolating nursing homes. If you would like to sponsor the event or contribute an in-kind donation for the silent auction, please contact Natalie Francis for more information: 215-634-2000 ext. 382. 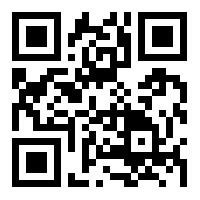 Sponsorship packets are now available by clicking here. Click here to view pictures from last year’s Taste of Independence.